I keg all of my clean beers, and some of my funky beers like a Berliner Weisse. 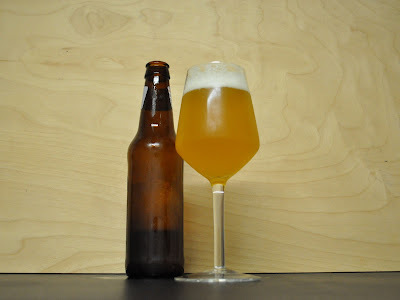 But I do like to have a few bottle conditioned examples of each beer to either age, share with friends, or more importantly to see if the beer is better refermented in the bottle (which is the case with my Saisons, but I like to drink em quick so in the keg they go). To mix it up a little bit I have been dosing bottles with Brett when bottling these Saisons, which is a good way to try out a few Brett strains without committing to an entire batch. What I will do is keg the beer as normal, purge the headspace with Co2. Clean and sanitize a 6 pack of bottles (or more), grab a vial of any Brett strain (in this case Brett B slurry a friend gave me), or slurry that you have cultured up. Prior to filling each sanitized bottle I will drop 2-3 Conditioning Tablets in lieu of priming solution. Then I will hook up the Blichmann BeerGun ( in the past I used the Biermuncher Bottle Filler which works perfectly fine especially considering the beer is still at this point) and use Co2 to push beer and fill each bottle. I will then use a sanitized medicine dropper to add ~1ml or Brett slurry to each bottle, then cap and age for a few months. 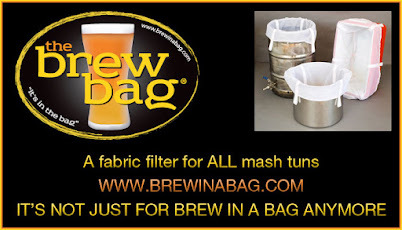 Caution: Keep in mind, this technique really only works with dry beers like Saisons. Normally my Saisons are in the 1.002-1.006 FG range, even then you risk bottle bombs as Brett will slowly work on the long chain sugars remaining in the beer, the drier the better. I also try to use thick walled Belgian bottles that can handle the high carbonation levels whenever possible, Orval bottles work great. Appearance: Hazy deep yellow color, slight gusher, high carbonation, bubbles rapidly traveling up the sides of the glass. Big foamy white head that lasts, took a few minutes to pour the beer but this is only a 10oz glass. Aroma: Funky barnyard, some citrus notes, leather, hay, peppery spice. Taste: Moderate bitterness up front probably from the beer being so dry, spritzy carbonation on the tongue almost champagne like. A slight tartness from the wheat, cracked black pepper in the middle and finish. Big Brett character all over this beer. Overall: I am very happy with this beer, the bitterness on the front end is a little more then I am looking for but it might be amplified by how dry the beer is. I have 5 more of these beers kicking around and may have to drink them soon as the carbonation level is quite high already. I may carefully pop a few and re-cap them quickly and see how that works. I used 3 carb tabs on each bottle this time, up from 2 the last time as this beer finished at 1.002. I may go back to just 2 tabs. That caution note needs to be attached to every blog post on the interwebs that talks about brett bottling. It needs to go out to some breweries, too. It's strange that everybody agrees brett is superattenuative in the fermentor but for some reason when dosed at bottling people ignore that. It's not too much of a problem if you're drinking the bottles within a few weeks but months later it could be a real mess. I completely agree, I see alot of people tossing around "bottled with Brett" and I worry that people arent taking into consideration final gravities. Like you said, if youre drinking it in a few weeks its not a problem, but if youre looking for some funkiness a few months is needed and by that point it may be too late. However, Its a great way for people to get into playing with brett as long as they heed the warnings.